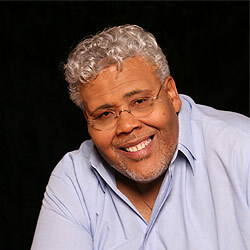 If you ever get a chance to see Rance Allen in concert, you must go! He's one of the most amazing performers I've ever had the pleasure of seeing. His voice a true gift from God. He's possibly one of the most underrated vocalists in the music business. Check out this 1972 remake of the King of Gospel's, James Cleveland song "Heaven, That Will Be Good Enough For Me". AMAZING!